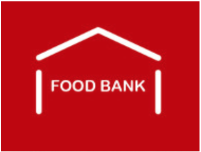 "To provide emergency food and clothing relief year-round to Portland families and individuals in need." ​ In the wake of the great depression the city of Portland was forced to lay off forty police officers in 1922. Mayor George Baker enlisted the help of volunteer civilians to aid in emergency situations. The group of civilians were eventually called the Portland Police Reserves. The reserves responded to widespread poverty by collecting food for Christmas baskets which were delivered to Portlanders in need. The group was eventually dubbed "George Baker's Sunshine Boys" and eventually The Sunshine Division. By 1923 both uniformed ​police officers and the volunteers were collecting and delivering food to portlanders in need. What is the sunshine Division? The Food pantry provides a unique, "shopping" experience, where clients are given a shopping cart and are free to peruse the two aisles, choosing the groceries they would like. The pantry offers a multitude of items for Sunshine Division clients, including: dry and canned goods, fruits, vegetables, frozen products, dairy products, options for people with dietary restrictions (dairy free, gluten free, etc. ), pet food, and some non-food items. The shopper is given a food allowance card which is based on household/family size and can pick out roughly a weeks worth of food free of charge. ​ Similar to the food pantry, Threadz the clothing room, also provides a free "shopping" experience for those in need. Each shopper can take home a grocery bag full of clothing, a coat, and a pair of shoes for each member of their household. Sunshine Division provides three Portland Police Precinct stations and other local law enforcement agencies with food boxes for distribution by first responders. Individuals in crisis who are homebound or unable to access services may contact the Portland Police non-emergency line to request an emergency food box 24/7. During the Fall and Winter season Sunshine Division volunteers and members of the Portland Police Bureau also distribute roughly 400 Thanksgiving boxes and 3,500 December Holiday boxes. ​ For more than 30 years Sunshine Division has worked with the Portland Police Bureau to identify school-age children who can not afford new school clothes. Through the Izzy’s Kids fund, Sunshine Division pairs nearly 500 low-income children with a police officer for a unique shopping experience for new clothing at a local Fred Meyer’s. ​ Sunshine Division distributes more than 1.2 million pounds of free food annually to more than twenty different hunger relief organizations, serving four counties outside of the Portland metro area. According to the U.S. Department of Housing and Urban Development on January 28, 2015, 3,801 met the definition of homelessness within Portland, Multnomah County and Gresham (https://www.portlandoregon.gov/phb/article/532833). Within Multnomah county approximately one-third of households fall below the self-sufficiency line in 2014, meaning they are unable to meet their basic needs (https://multco.us/file/34343/download). Sunshine Division addresses larger systemic issues of poverty, homelessness, and hunger by providing free resources. It also addresses the stigma surrounding individuals and households who experience the struggle of poverty on a daily basis. Sunshine Division does this by humanizing the experience of receiving free goods by providing an actual “shopping” experience. The organization gives the opportunity for furthering autonomous choices for individuals and households who may have limited choices within their lives. We live in a culture where basic human necessities like food, clothing, and shelter are not available to everyone and I strongly believe that all people have the right to basic human necessities. Sunshine Division is making an impactful difference in people's daily lives. I volunteer within the food pantry at the Sunshine Division warehouse. My duties and responsibilities include assisting shoppers by helping them navigate the shopping experience. It is of the utmost importance to utilize friendly and respectful communication. I am also available for any help or questions that the shoppers may have. Once the shopper is finished selecting their groceries, I then weigh the cart, fill out some paper work, and the customer is on their way. I am also responsible for stocking and tidying the shelves when necessary. Sunshine Division is in constant need of volunteers for both the food pantry and the clothing room. Without volunteers the organization would not be able to provide basic necessities for free. I truly believe that it is my social responsibility to lend my time for this cause. As I have mentioned before, all people deserve the right to their basic human needs. I believe that this Sunshine Division is a means of providing hunger relief, and I am grateful to be a part of that. The larger issue of poverty and homelessness are often discussed in Portland. However, at times on the individual level, those who are experiencing poverty and hunger are ignored, judged, and faced with social stigma within our culture. By providing a friendly, nonjudgmental, and courteous communication, this furthers a humanizing experience. I am proud to be working with Sunshine Division. I tell everyone I meet about the programs available. This allows for further discussion not only about resources available for those in need, but also for the larger inherent issues surrounding poverty and homelessness. These larger systemic issues need to be addressed through a regularly occurring discourse, otherwise large scale change will not occur. In order to achieve these goals, I have volunteered every Friday morning for a period of three to four hours. This allowed for stocking and tidying the shelves before the first the clients arrive. By organizing the shelves like a grocery store this furthers autonomous decisions for The Sunshine Division's clients as well as providing a stigma free shopping experience. Once the doors are open to the clients I am in direct interaction with them. I have strived to provide courteous and thoughtful communication, as well as provide help when it is needed. In my personal life I have had many opportunities to tell both long time friends and people I have just met about the programs provided by Sunshine Division as well as discuss the inherent issues surrounding homelessness and poverty. As of now, in my ten weeks of volunteering at Sunshine Division, I can not even begin to express how rewarding the experience has been for me. I truly feel like Sunshine Division is aiding in making a difference in people's lives and I have the pleasure of being a part of that. I have encountered people of a wide diverse background from all over the world. While it is not my place to ask personal questions about people's lives and experiences, on a few occasions people have voluntarily told me their story. I am completely grateful when that happens, for it helps me to further understand and empathize with their situation. The stories are sometimes sorrowful and tragic and other times they are hopeful and uplifting. Either way, I am always happy to take the time and listen to an individuals' story, for it deserves to be heard. It is important to me to treat all people as visible important members within our society. I have always empathized with people who have fallen on difficult times. I feel that the experience has provided me with a new outlook on the issues of hunger and poverty. I now have the experience of regularly interacting with people who deal with poverty and hunger on a daily basis. The one thing I would like to improve on are my Spanish skills, at times there have been miscommunications due to a language barrier. However, that is only one small problem within a largely positive experience. If your or someone you know is in need of assistance through The Sunshine Division's many programs or for further information about volunteer opportunities please visit The Sunshine Division website.